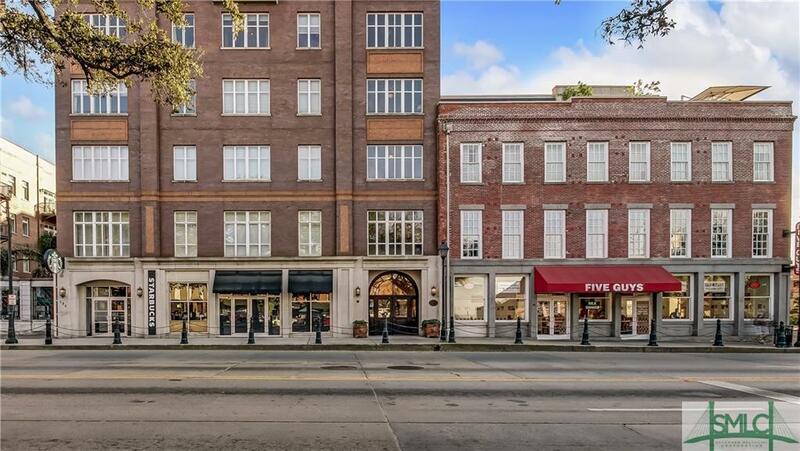 Rare opportunity to enjoy a view of the Savannah River & the tree canopy of Bay St from your condo in the highly-desirable luxury River Homes of News Place West. 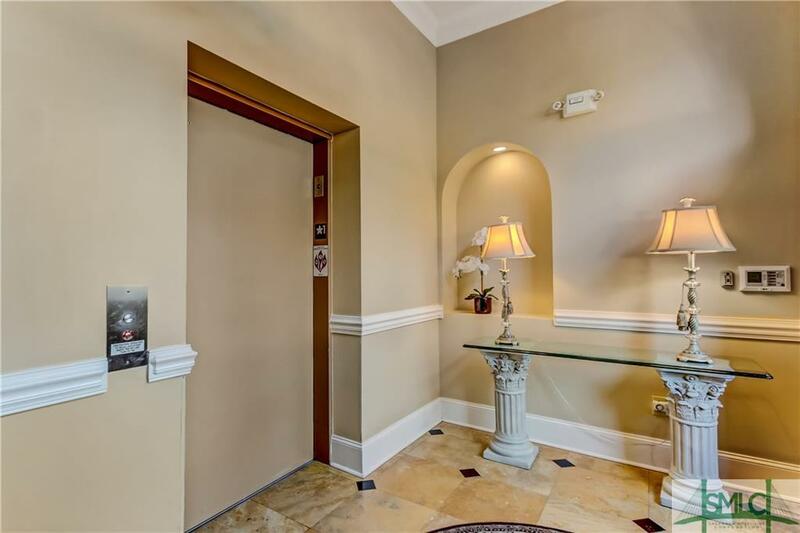 2bdrm corner property w/ 10ft ceilings & crown molding throughout. Enter into 50 foot long hallway w/ intricate paneled arches an ideal gallery wall for your favorite art. 10 floor-to-ceiling windows w/ deep window wells let in an abundance of light. 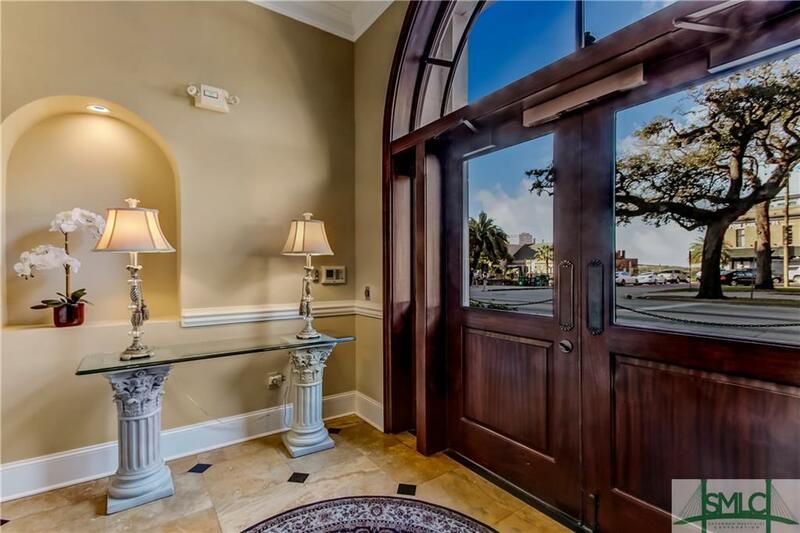 Filled w/ upgrades: Hardwood flrs throughout, 2 master suites w/ custom walk-in closets, triple pane windows in master, upgraded baths, high end lighting, gas FP, remote controlled window shades & more. Gourmet kitchen w/ luxury appliances & glass tile backsplash. Assigned parking space in garage. Elevator & video monitored security. 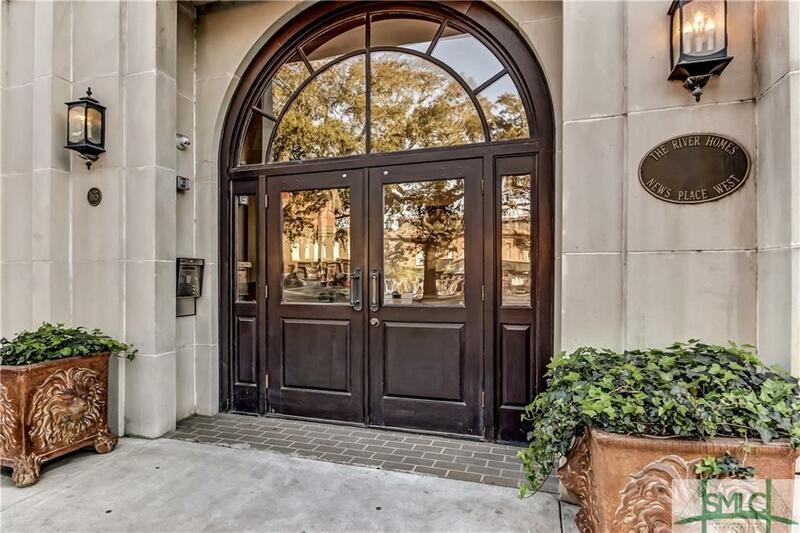 Live directly in the heart of the Historic District, steps to City Market & River Street w/ art, dining & shopping at your doorstep. Starbucks & hip new desert bar located on the street level of the building. This is downtown living at its finest! Association Name News Place West Condominium Assoc.